Ensuring that even the smallest leaks are closed by air sealing your home will increase energy efficiency and improve your comfort. 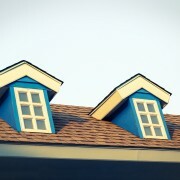 A comfortable home saves you money and energy. 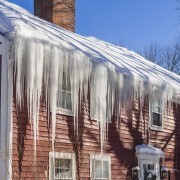 As houses age, they become less effective at keeping out the cold and keeping in the heat. Does this sound like your house? 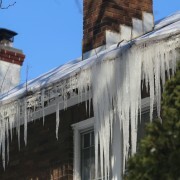 Here are five clear signs it’s time to re-insulate your home. As homeowners, we tend to follow the same old rules when it comes to maintenance and renovation. For example, many believe that re-insulating a house is necessary only if it was built before 1980. However, a home’s age is not the only determining factor. According to Matthew Mulligan, VP at Great Northern Insulation (GNI), some factors that may affect whether you should re-insulate your home include insulation that has settled, where you live and the type of insulation previously used. So what should a homeowner do? Look for these five undeniable signs it’s time to re-insulate. Re-insulating your home isn’t just about keeping warm air inside your home; it's about keeping the internal temperature steady, no matter the weather outside. In other words, cool in summer and toasty in winter. If you notice your furnace or air conditioner is running continuously (even when your thermostat is set to automatic) or there are constant fluctuations in temperature, your home's insulation may not be performing as it should. “It’s important to remember you’re dealing with the insulation in your house as a system, which is why your house needs to be addressed as a whole,” adds Mulligan. If you’re wondering how your home’s insulation is performing, your energy bills may provide a first clue. Compare last year’s energy bills with your current ones. Remember to factor rate changes and unusually hot or cold temperatures into your assessment. If there's an upward trend in consumption that's difficult to explain, the cause could be failing insulation or air leakage in the building envelope. 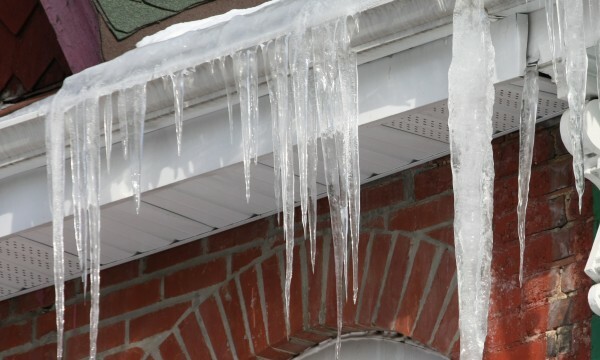 A visual indicator of poor or failing insulation is the formation of icicles dangling from your home’s gutters or eavestrough, or ice dams that completely block them. 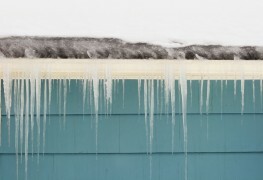 Over time this can damage your roof, so it shouldn’t be ignored. 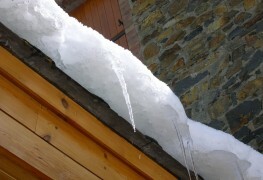 Ice can form along the edge of your roofline when there's poor insulation and/or air leakage in the attic space. Warm or hot air from your house “leaks” into the attic space through gaps such as unsealed mechanical penetrations or top plates. If there's water forming in your attic that runs down through your ceiling, it could be caused by inadequate or failing insulation. 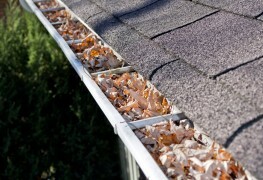 Failing insulation will make your attic warmer, causing moisture to condense and trickle down. Early detection can help prevent the growth of mould and rotting wood. Look for brownish water stains on the ceiling or wall, mould drip marks, and soft spots in the drywall or plaster. A home that is well insulated should feel uniformly warm throughout. If you discover that cranking up the heat in your master bedroom has the opposite effect in the living room, sub-standard insulation may be causing the problem. Heat loss may sometimes be attributed to other issues that can only be detected by trained professionals with the right tools and techniques. If you’ve never had your home assessed for energy efficiency, your local home insulation expert can provide you with an EnerGuide home evaluation, designed to help homeowners increase the energy-efficiency and comfort of their homes, and decrease their overall carbon footprint. Based on the EnerGuide report, the home insulation expert can make recommendations to improve the energy efficiency of your home. Think of the insulation in your home as a protective membrane designed to shield you and your family from the elements and to keep your home structurally sound. That's why being able to spot any of these signs early on could end up saving you a lot of money and aggravation – before smaller problems become larger ones. For over 35 years, Great Northern Insulation has increased the comfort, energy efficiency, and durability of buildings and homes throughout Ontario. Our mission is to provide affordable solutions to each and every customer by reducing their energy costs, improving the acoustics of their living/working environment and addressing their unique fire protection requirements. We deliver these solutions with the most experienced staff in the industry. To achieve our goal of 100% customer satisfaction, we back all of our services with a satisfaction warranty, money back warranty, product warranty, and a sustainability warranty. We firmly stand by the statement that "There is more to insulating than just adding insulation". When selecting an insulation contractor, evaluate your options based on their experience, product expertise, customer service, and workmanship. Contact Great Northern Insulation today and experience what a true professional contractor can do for you!